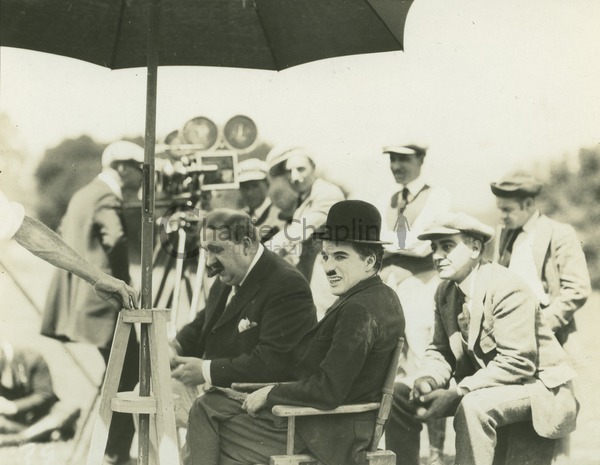 In The Idle Class Charlie Chaplin plays a dual character, that of The Tramp and The Absent Minded Husband. The characters as portrayed are two distinct personalities, however, bearing very strong facial resemblance. 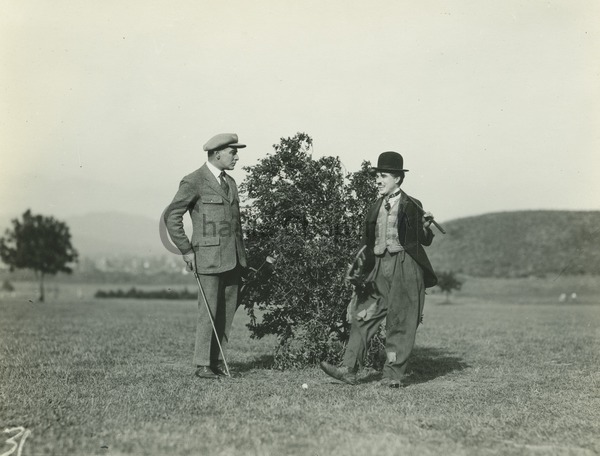 As The Tramp, a carefree character presents itself, while as The Absent Minded Husband, there is found nothing but explainable trouble which reveals itself as the story progresses. 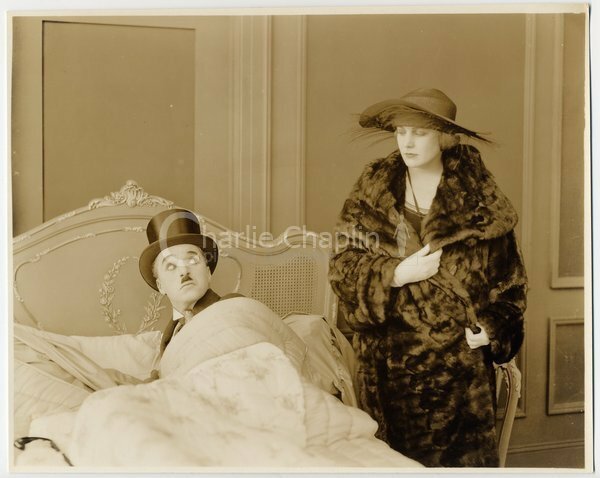 The Wife is that of The Absent Minded Husband, played by Miss Edna Purviance and the other principal running throughout the story is The Angry Father, as played by Mack Swain. So numerous are the other characters in the play, some of considerable inportance bearing on the plot and others of only minor importance, that only the dual character and that of the Father and Wife are listed in the cast. The story opens at the railway station of any exclusive community meeting up with the requirements of such a rendezvous as patroned by “The Idle Class”. It is the summer season. In waiting and attired in all of their splendor of position are discovered the servants patiently waiting for the incoming limited which carries the expected arrivals and too, some of the earlier guests in anxious attendance. There is the usual activity when the awaited train arrives. Of those attracting considerable attention as the passengers alight is The Wife. Her position in life is emphasized by the attentions given her by her maids and even the dusky train porters, and she further stands out above all because of the bewilderment of her countenance, plainly revealing disappointment. At the hotel it is quickly understood why the annoyance of The Wife where there is discovered The Absent Minded Husband, hastily endeavouring to prepare himself for the meeting with his Wife at the station, who through the reading of a telegram is reminded of the Wife’s arrival at ten o’clock, while that hour is past by thirty minutes. Back at the station the chauffeur has met the Wife and the journey to the waiting automobile is started. As we temporarily lose sight of the Wife and the station is apparently deserted, there suddenly comes to light the character of The Tramp. Concealed in the exclusive compartment of one of the cars maintained for the carrying of fuses underneath the structure The Tramp has enjoyed the speed of the limit to bring him to the same destination as patronized by others of “The Idle Class”. As though nothing out of the ordinary had happened, he alights at the station, carefully removes his luggage and adjusts his alarm clock, and at last shoulders his bag of golf sticks and saunters off. By now The Wife is comfortably seated in her luxurious limousine and just as the chauffeur is about to draw away, The Tramp arrives behind the waiting automobile, He selects a seat on the bumper in the rear of the car, carrying The Wife, and although momentarily thrown off by a sudden jerk of the machine, he remounts his seat and is away in the same good style as enjoyed by those in more fortunate financial circumstances. During the interval the Absent Minded Husband has been arranging himself for the meeting with His Wife. He makes his way to the hotel lobby and then to a telephone booth and as he summons the operator discovers himself in a very embarassing predicament. While held captive in the booth because of circumstances, His Wife arrives at the hotel and is shown to the suite occupied by her Absent Minded Husband. She is further perturbed at his absence and is suddenly shocked when a bounding object darts through the rooms and lands sitting up in the bed. One glance at her husband who has sought refuge from his embarrassment, justifies The Wife in her determination to occupy other rooms until such time as he proves himself a real man and with her maids she departs. The Tramp has found his way to the golf course adjoining the hotel. Starting out to play the popular game he discovers he has no ball with which to play, but through several unique manipulations he soon becomes the possessor of a score of balls. Through a series of innocent undertakings The Tramp becomes involved in numerous entanglements but with good luck and fast feet he manages to elude detection without blame. 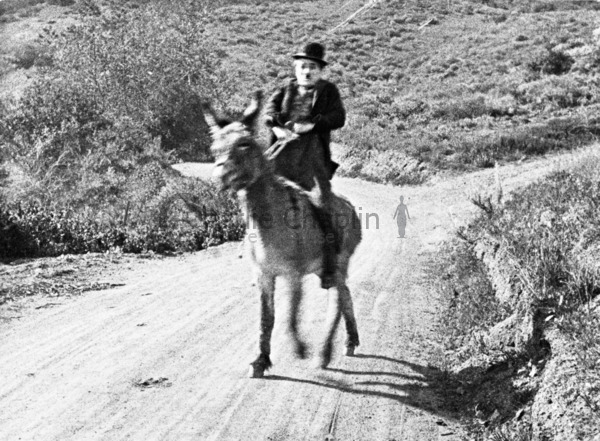 During his game he encounters The Wife who in her loneliness has gone forth astride a horse to take in the beauties of nature, and forget the conduct of her Absent Minded Husband. 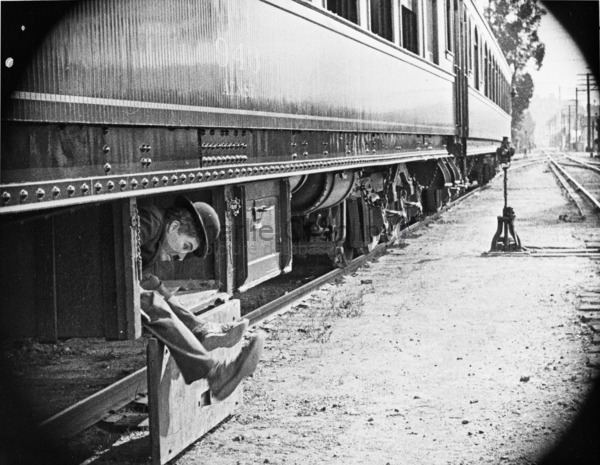 The Tramp has a unique “day dream” in which vision after vision comes to him until he awakens to the reality of his surroundings and the fact that he is still but the Lonely Tramp. That evening there is a bal masqué at the hotel. While the Absent Minded Husband dresses for the function, garbing himself in the armor of an early day warrior, he discovers a note from His Wife which speaks of forgiveness in the event of his attendance at the ball. This spurs him on to quicker action but he comes to further grief when the headgear of his costume becomes locked and he is left helpless as far as recognition. 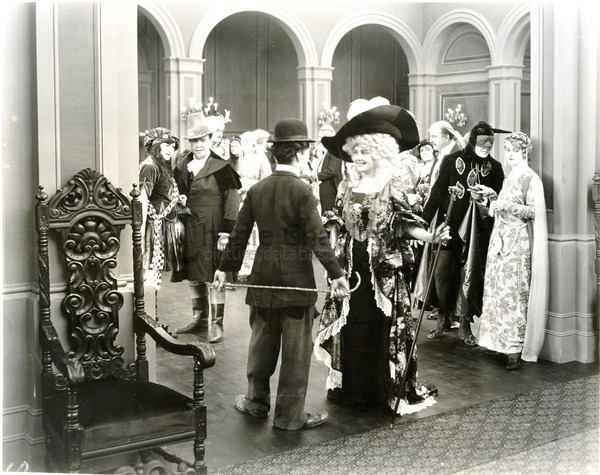 The Tramp in the meantime has gotten in an embarrassing situation with the police through no fault of his own and in his endeavor to escape he finds himself in the ball room with the members of “The Idle Class” where he is believed to be one of the guests in an unique make up. The Wife sees The Tramp and believing him to be her husband sends for him. The Tramp does not know what it is all about but thinks his dream has come true. While The Wife and Tramp are having a little love scene the Absent Minded Husband comes across them and his jealousy aroused when he believes His Wife is flirting. A fight follows. The Angry Father takes a hand in the matter and at last after much mixing up of affairs, The Wife is discovered alone in the suite with The Tramp, still under the belief that it is her husband. 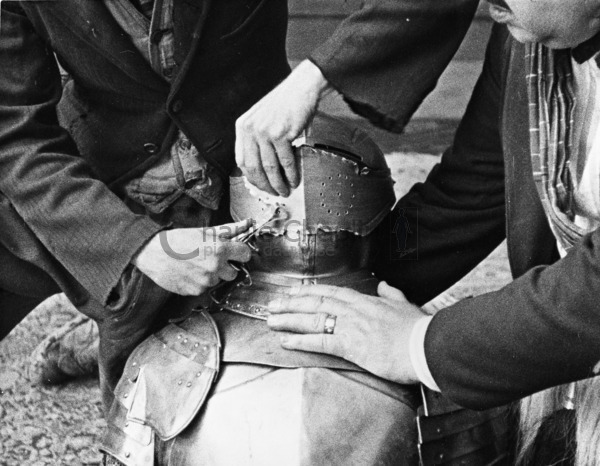 The Angry Father discovers that The Tramp is not his son in law but that the man in the suit of armor is, and the identification is completed when the Tramp comes to the rescue with a can opener and removes the headgear from The Husband. The truth coming to light, The Tramp is ordered out of the rooms and as he departs he is even shunned by The Wife. After The Tramp’s departure, The Wife realizes that it was all her mistake and that The Tramp was in no way to blame, she gets her Father to follow him and apologize. The Tramp finds himself again alone with nothing but a memory of it all in the shape of a little rose dropped by The Wife which he had carefully concealed in his bosom. As he leans against the pillar of the big wall about the hotel to look into the flower and dream of what might have been had he not been rudely awakened, the Angry Father approaches him and offers his hand in friendship and apology. With all the sentiment of forgiveness, the Tramp clasps hands only to then call attention to the untied shoe of the Father and when the repenting Father bends to adjust the string he is lifted from the ground by a terrific kick, followed by the hasty departure of The Tramp………which ends the story.